I did try and recreate the moment with the big camera a week or so later, (because I like to have 'brand new' photos to share for Siblings, that I haven't already shared on social media - and I'd shared the hell out of the original ones, because... well... LOVE!) And I probably would have loved the follow up photos, were they not the weaker copycats to that spontaneous photo shoot that came before. There's a lesson to be learned there I think, about keeping the nice camera to hand. Or about my letting go of picture quality in favour of the quality of the moment. So, I'm sharing them all, but you decide for yourself... I think there is something so much funnier about the grainier phone ones. Although that tiny little scene stealer is doing it again... one-year-old and already totally knows how to make a photo all about her! 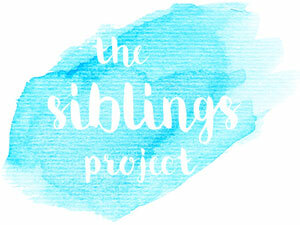 Super apologies for being so late in the game with The Siblings Project this month. I know this post always, always, always goes live first thing in the morning, but I'm blaming the summer holiday vibes for the fact that I completely forgot. I promise to be back in the organised zone again by next month. And the eagle eyed amongst my readers noticed that there was a problem with the old badges for The Siblings Project badges, but they are now fixed. So if you are still using an old code for the badge on your site, make sure you use the new one from now on. 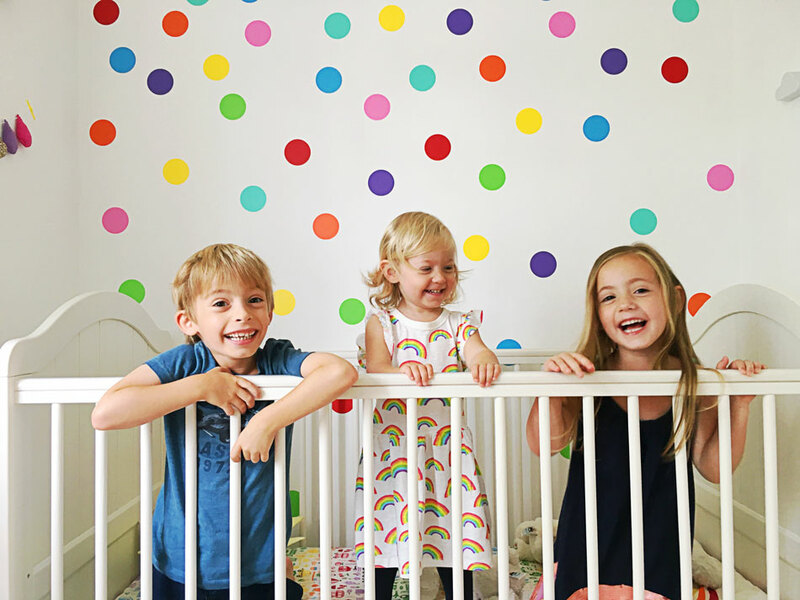 Those photos are gorgeous - I love how much fun your little trio are having together in them. The phone ones are my favourites too. It's always difficult to recreate a moment like that a second time - at least you managed to truly capture it the first time even if it wasn't with the big camera. 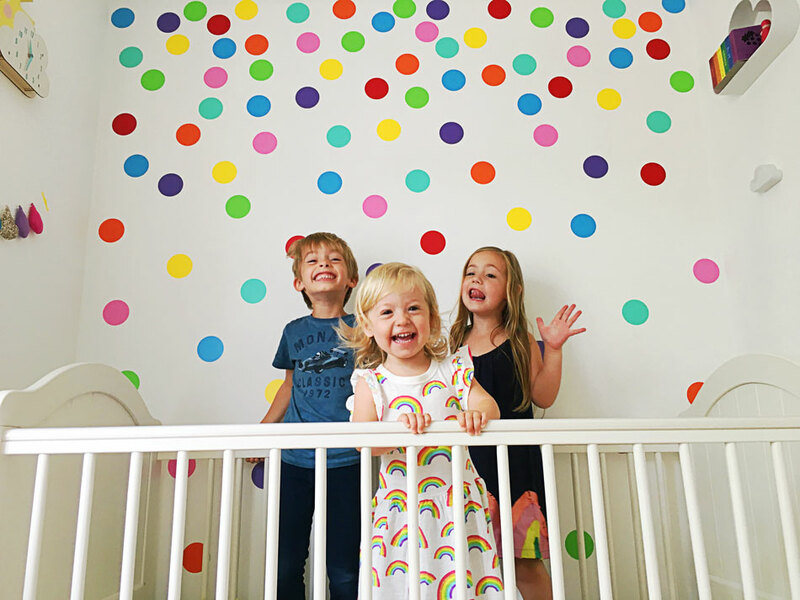 Loving the dotty walls and dotty personalities! Such great photos of them together. Definitely love the phone photos which just ooze fun and laughter! Oh these pictures are to die for!! 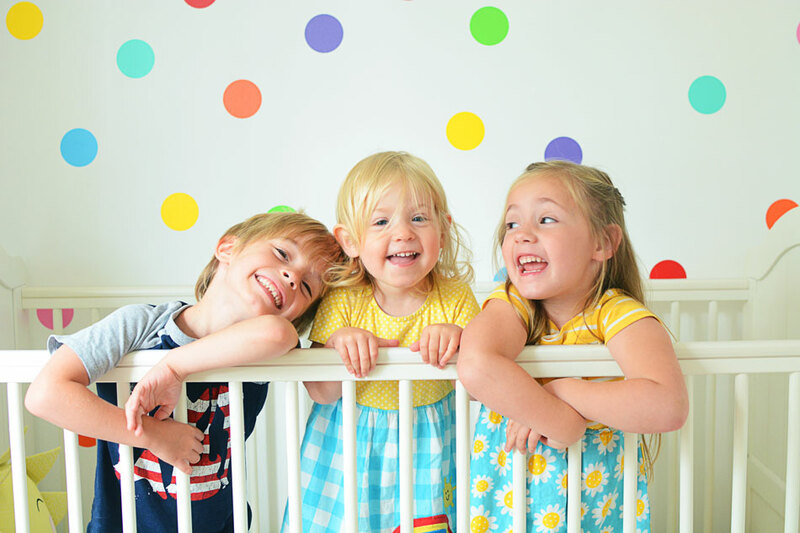 Your children are like rays of sunshine, their personalities are bursting through. Everly looks like a teenager in the top pic. That's a 16 year old selfie pose right there. 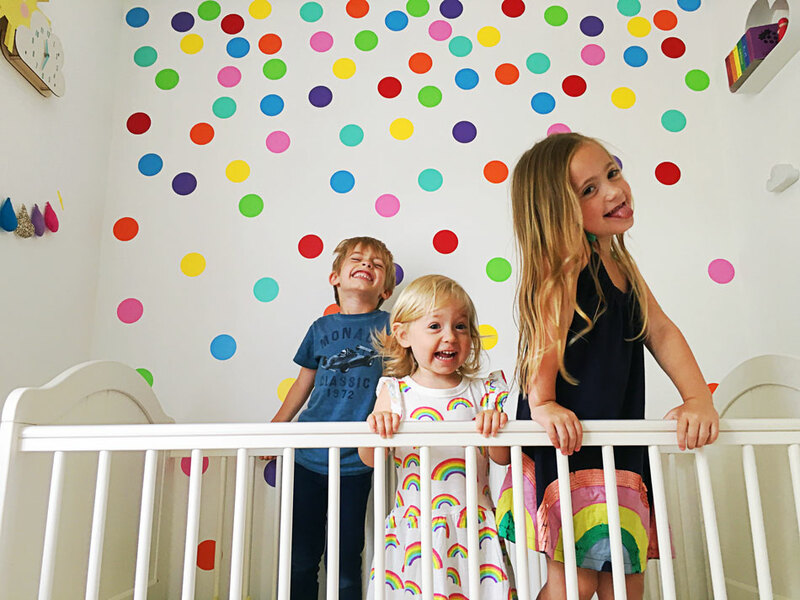 Oh I love them having fun in Quinny's room it's the most colorful beautiful place on earth I swear. They look so happy in it with her too. Look at their happy faces. Given I've only just posted my pictures (a week and three days late!!) I think the summer holidays has got to us all! These are gorgeous photos, and the joy of phone cameras is that they do take pretty awesome pictures, and you get the moment. What a jolly little gang you have Lucy!! Totally hear you on the school holidays thing - I'm dreading them going back! We've had such a nice time! 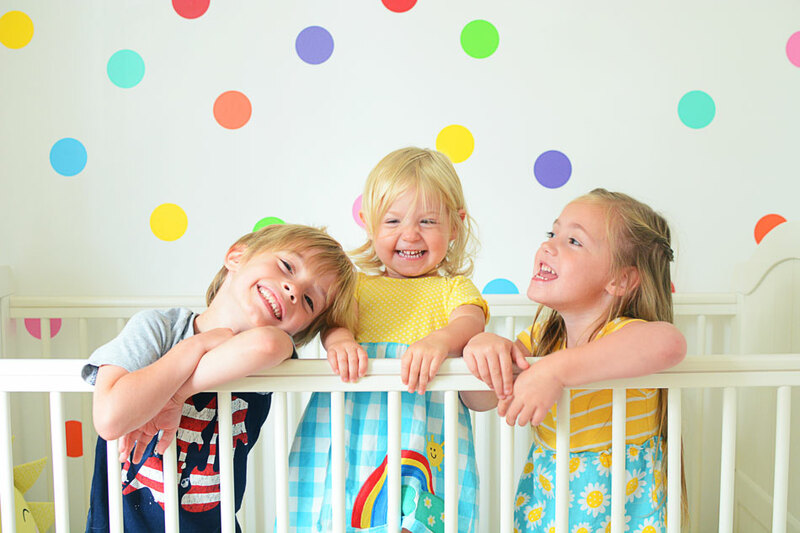 These pics just capture your little lot so perfectly! And they are so YOU with all those rainbow colours! Stunning photo's as ever! I can't believe how much they've grown! I love these pictures - they all look so alike now, even though they look different, if that makes any sense!